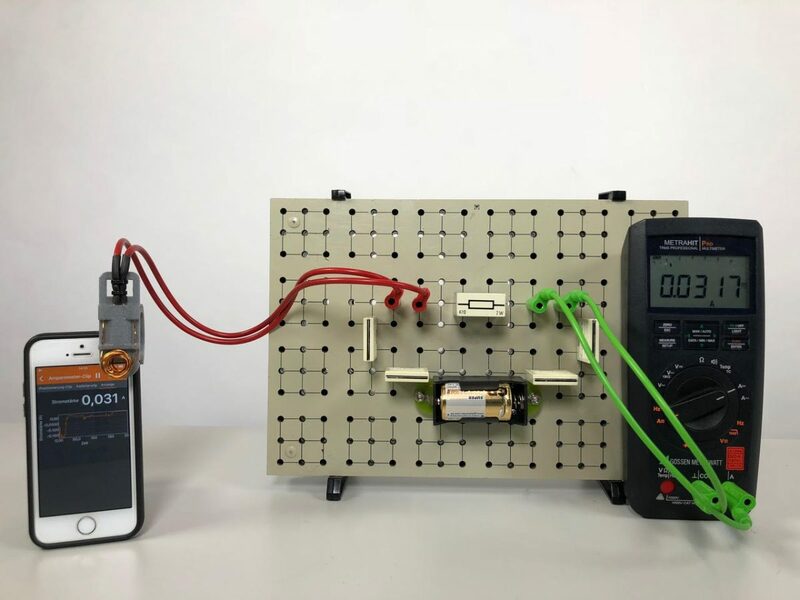 I’d like to share the work by Christoph Holz and Alexander Pusch from the University of Münster, who have created a 3D-printed coil that can be attached to the phone. This way, you can measure the current through the coil by measuring the resulting magnetic field. The have also created a phyphox experiment configuration, with which the coil can be calibrated, so you get a current-reading directly in phyphox. This has been published in German in Naturwissenschaft im Unterricht Physik, 169, S.46-47 and a short version (also in German) can be read on physikkommunizieren.de. The phyphox configuration is listed and explained in English in our wiki.